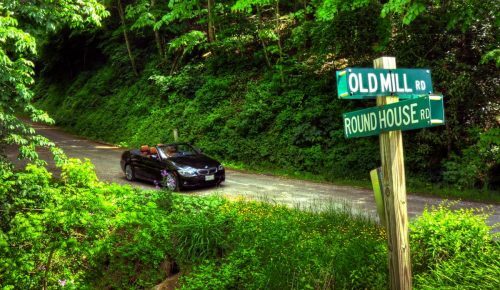 As I hurtled the 2013 BMW 335i through the unending corners of the “Tail of the Dragon,” I thought of my friend Phil. I pictured him in his 1957 Porsche Speedster, executing a flawless heel-and-toe downshift and sliding the beautiful black sports car through similar corners. Before riding in Phil’s Speedster, and in his father’s 1962 Austin-Healey 3000, I never knew that cars could perform like this. Those rides were an awesome revelation to a car-crazy 14-year-old. This trip to Tennessee and North Carolina was in honor of Phil—and, sadly, to attend his funeral.